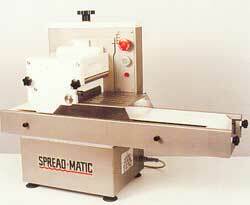 A full range of spreaders machines to apply butter / spreads and fillings. 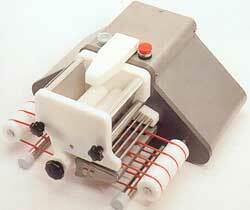 Models to suit all production levels from the sandwich unit to large scale production. The basic Retail Spreadmatic has a capacity of up to 1000 slices per hour, the Commercial Spreadmatic 3000 per hour and the Industrial 6000 per hour. All machines offer increased profits, ease of operation, hygienic and safe, full CE conformity and SAVES on spread. 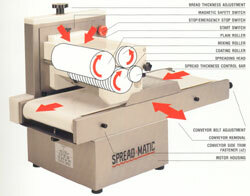 Fully adjustable to give complete accuracy of volume of spread.